“God’s existence is not dependent on your belief. 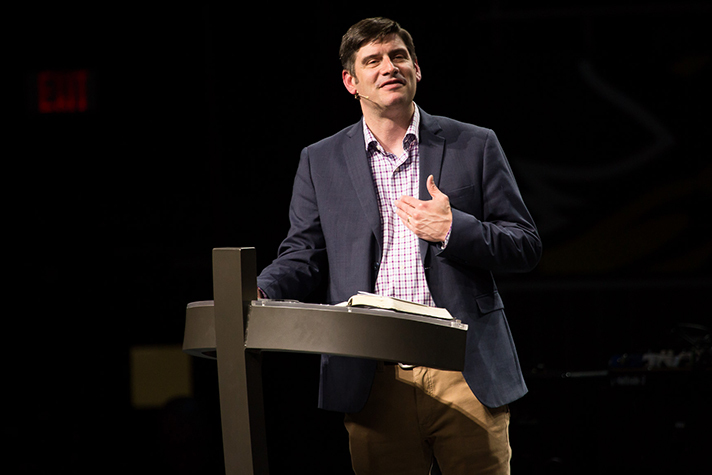 He exists,” Will Graham said in Johnson City, Tennessee, Friday night. Just an hour west of the Asheville, North Carolina, mountains where Will Graham lives, the Tri-Cities area includes Kingsport, Johnson City and Bristol (USA). Lillie excitedly stands with her parents and counsellor, who gave her the Gospel of John after she went forward to receive Christ. 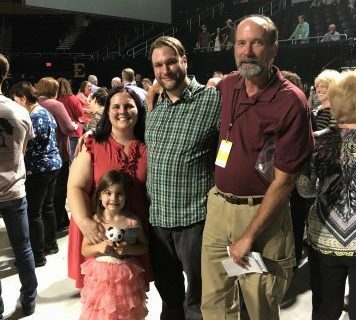 Attendees from across the region enjoyed music from several bands, along with Dove Award winner Aaron Shust, before Will Graham began to preach for the first time since his grandfather’s homegoing. “I want to talk to you about time,” Will Graham said, mentioning how his grandfather spoke on this same topic at Will’s graduation two decades ago. Although his grandfather lived to be in his 100th year, he still sensed the brevity of time, Will shared. Out in the crowd, Matt fully agreed. A former gang member and drug addict, Matt had rebelled against God after growing up in church. Following several eye-opening experiences and close calls to death, he decided to give his life to God three years ago. After Will declared, “[God] sees you as the most precious thing in this world, and He says, ‘I forgive you of your sin,” Matt went forward to rededicate his life to God. “I’m going to follow Him all the way,” Matt said. Numerous others in the audience also came forward during Will Graham’s altar call. She carefully repeated every word of the salvation prayer Will led, surrendering her heart to Jesus. Her parents had been praying for her to be dedicated to the Lord since before she was born. No matter your past or age, you’re not guaranteed tomorrow. Are you ready to give an account of your time on earth? Receive Christ today. 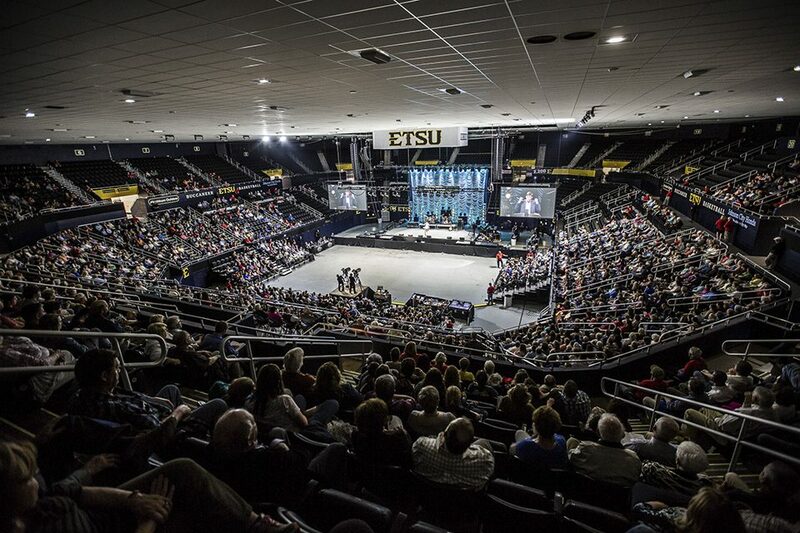 Freedom Hall serves as East Tennessee State University’s basketball arena, but on Friday, those in the seats sang worship songs and heard about Jesus Christ.